Potato vending machines are turning over £1,000 a week for two farmers in Scotland. Pete and Euan Grewar, two of Scotland’s top potato producers who came up with the idea, describe their novel business as an extension of the farmgate honesty box to Farmers Weekly. The cousins said that the farm isn’t on a road that merits a farm shop, yet they used to regularly turn people away when they turned up asking for a bag of potatoes. “It was just too much hassle to fill the odd pack, so we came up with the idea of a vending machine,” they said. Pete told Farmers Weekly that they installed the first potato vending machine on the home farm and when that took off, another two on other farms. 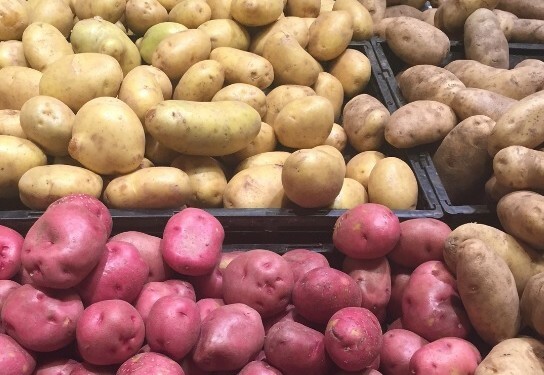 “We then thought it would be good to promote potatoes in the centre of the city and when we approached the Overgate Shopping Centre in Dundee they welcomed us with open arms,” Pete said. The cousins started on a three-month trial and has been a great success and plans are afoot to be around for another year. The Roesler (vending) machines are imported from Germany at a cost of £7,000-£15,000 each, depending on whether or not they are refrigerated. They take coins or banknotes and the produce ranges in price from 80p for a cauliflower to £5 for a veg and egg box, according to Farmers Weekly. Seasonality means the produce is constantly changing so strawberries and raspberries are selling like hotcakes at the moment, while asparagus proved too expensive, the website says. Their idea has proven a success and while they have plenty on their minds running their 530ha seed and ware potato business in Angus and Perthshire, as well as contract farming an additional 2,800ha across Scotland, it is clear this diversification has captured their imaginations, Farmers Weekly says. The cousins said that the biggest overhead is paying two part-time employees to drive around and keep the compartments stocked and in the shopping centre that means being in before 9am or after 6pm. “They don’t want us arriving with a trolley of fresh produce when they are busy,” they said. The Grewars add value and entertainment to their special offers: a free swede with every bag of potatoes in the weeks before Burns’ Night in January, and their “Easter Bunny Special” – free carrots with the spuds, Farmers Weekly says. And they keep the prices competitive, it says. “Everyone told us we could charge a premium because the food was coming direct from the farm, and we know customers like that. “But everyone loves a bargain and price is important. 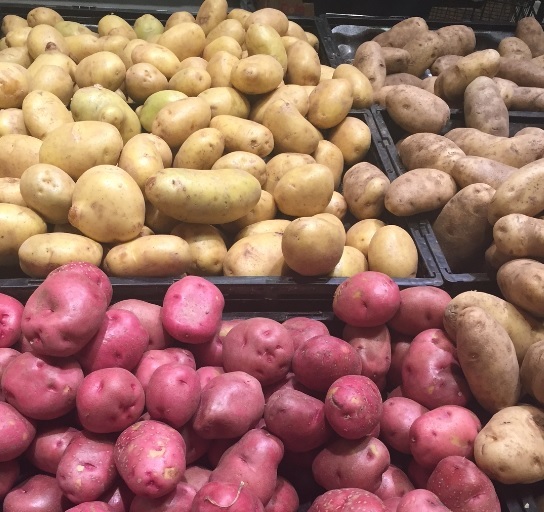 The potatoes are straightforward to price because we grow them ourselves. “For the produce we buy in from family and neighbours we add a margin to pay for the work involved,” they said. The cousins are an ambitious pair; they told Farmers Weekly that they are toying with the idea of franchising the model, but first they want to get through a whole season of fruit and veg to find out exactly what works. Obviously it wouldn’t make sense to have one machine in Aberdeen, Edinburgh and Glasgow, but six or 10 in each city might be efficient. “We didn’t think a vending machine was particularly revolutionary, but apparently we featured in a marketing seminar in the US earlier this year. “People were tweeting about it. And that led to contact from all over the world. We got an email asking if we would organise a machine for prepared salads in San Diego,” Euan says.